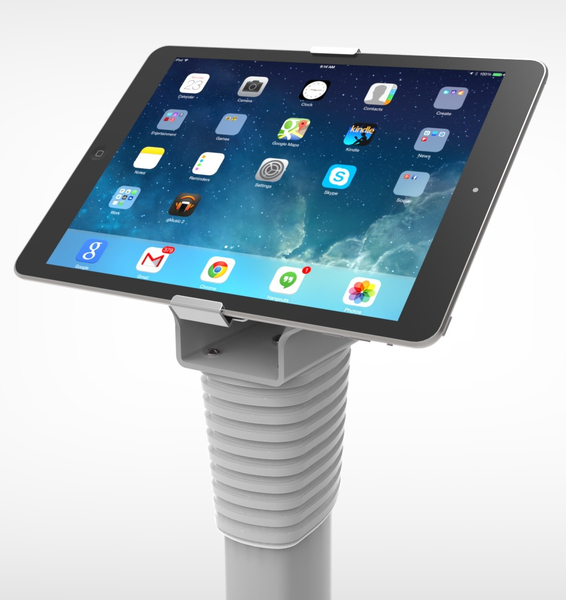 The Cling 2.0 Adjustable Floor Stand is designed to work with all iPad models with just one device! This updated version is compatible with a variety of tablet models and sizes making it a near universal tablet security solution. 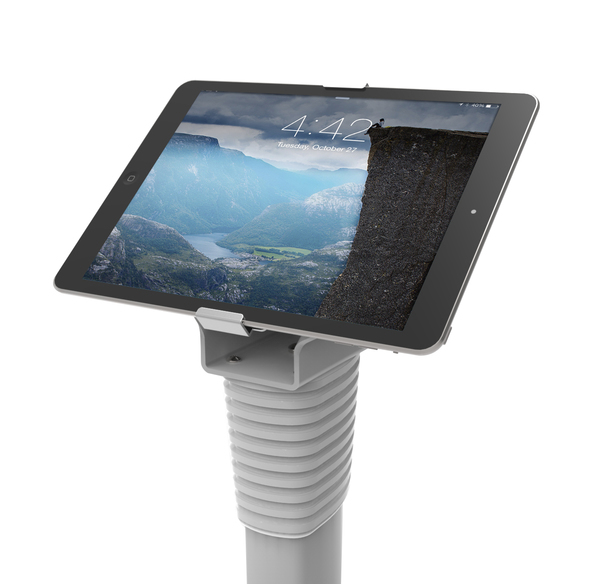 Securing your tablet is a re-designed bracket clamp and VESA mount base. The most notable update is the mount now includes cable management and hidden screw holes. The Cling 2.0 bracket can still rotate between portrait and landscape mode and setup is quick and easy. 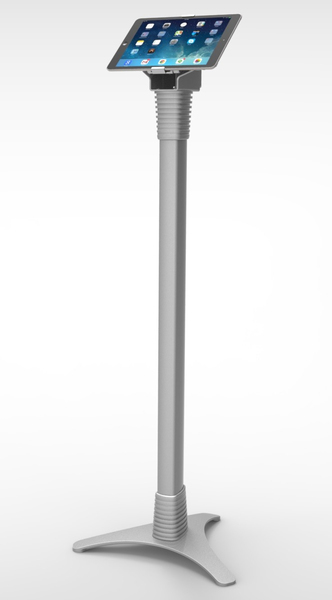 This Tablet Security Adjustable stand is perfect for standalone kiosks, exhibitions, conferences, point of sales, point of display and for customer interaction. Maclocks security solutions are used by the leading banks, airlines, restaurants and hotel chains, hospitals and government agencies world wide. The stand has a compartment below the enclosure that allows for the storage of the charging cube, as well as after market chargers, when used with Maclocks universal power cord (sold separately). This feature provides an attractive and secure solution to prevent the power cube from theft. The stand can also be placed further from power outlets because it is not limited to the USB cable's durability or limited length. 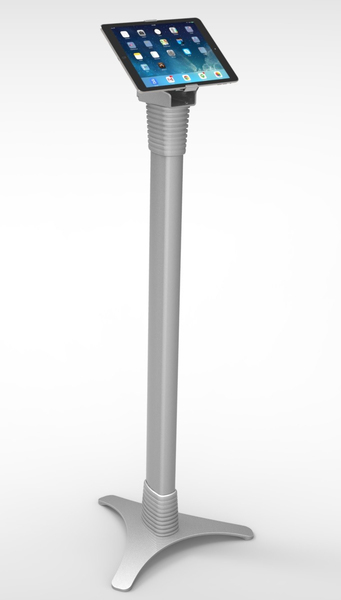 A Lockable Security Cable can be used to secure the stand to a fixed object while still allowing mobility and can be purchased at the checkout.